Looks like three (thousand) is the lucky number this week. The Hot Dozen--the 12 rental apartments Streeteasy.com visitors clicked on most often over the past seven days--features three two-bedroom apartments for $3,000/month apiece. Just steps from Hudson River Park and the Highline is a two-bedroom apartment at 322 West 11th Street and Greenwich Street listed at, you guessed it, $3,000/month. Each of the apartment's two bedrooms has windows (with window bars, as this is a first-floor unit) and can fit a full bed, and the place has high ceilings and wood floors. Up in Midtown East, a two-bedroom apartment at 953 Second Avenue and East 50th Street is listed at $3,000/month with no broker's fee. The two-bedroom apartment boasts one-and-a-half marble bathrooms and is located in a private townhouse, adding an air of classiness that is rare to find in well-priced Manhattan abodes. There's a live-in super, central air and pets are allowed. Added bonus: a washer and dryer in the apartment. 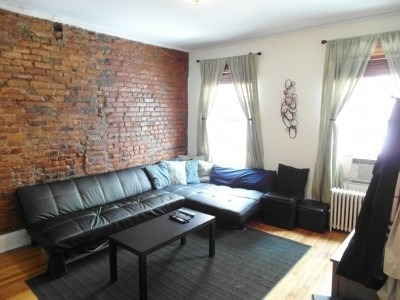 Also for $3,000/month is a two-bedroom apartment at 364 West 30th Street and Ninth Avenue. 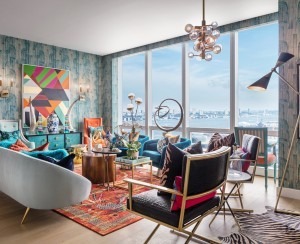 The apartment, a floor-through unit in three-story walk-up building, is perched on the edge of Chelsea and Midtown West and is only a short walk from transportation hub Penn Station. There's a washer and dryer and pets are allowed. If the apartment you like requires a guarantor that you don't have, see if the landlord accepts Insurent, a great solution from one of BrickUnderground's sponsors. New to NYC? 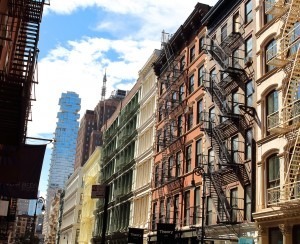 Check out our crash course in finding an apartment here.